When newcomer Lena Duchannes arrives in the small town of Gatlin she quickly captures the attention of Ethan Wate, who only wants to escape what he views as a boring and dead end town. He quickly gets more than he bargained for, as Lena possesses strange powers that have long kept her at a distance from others in her life. Lena and Ethan are drawn together, but their budding romance is threatened by the dangers posed by Lena's being a Caster and her family's Dark powers, for upon her sixteenth birthday Lena must undergo the Claiming, a process that will decide her fate forever: Light or Dark. $7.582 million on 2950 screens. With the success of The Hunger Games and the Twilight films, a popular new genre developed in recent years: action films for the young female audience. Not that girls refused to see action-oriented material in previous years, of course, but these series reflected a change, as they delivered something unusual meant for the teen girl crowd. Apparently these young females won’t go to see everything aimed at them, though, as recent months displayed some notable flops. Based on the work of Twilight author Stephenie Meyer, The Host pulled in a mere $25 million in the US, while Beautiful Creatures - also adapted from a popular series of novels – limped to an even weaker $19 million. So much for new franchises to capitalize on the end of the Twilight series – perhaps Hunger Games sequels will keep the marketplace to themselves. Despite the film’s poor reception, I thought Creatures looked interesting and decided to give it a screening. Set in tiny Gatlin, South Carolina, rising high school junior Ethan Wate (Alden Ehrenreich) feels stuck in his nowhere town and he becomes haunted by dreams of an unknown fantasy girl. She takes physical form when Lena Duchannes (Alice Englert) enters his class. Part of the mysterious Ravenwood clan, the town’s residents view them as wicked devil-worshipers. This intrigues Ethan, however, and he tries to get closer to Lena. She grows to like him as well, but Lena’s Uncle Macon (Jeremy Irons) disapproves, as he wants her to stay away from the locals. We eventually learn the truth behind the clan, as Lena and the others are “casters” – ie, witches. On her soon-to-arrive sixteenth birthday, Lena will find out if she goes toward light or dark, which creates a major battle over her soul. Imagine Twilight with a gender reversal and essentially you get Beautiful Creatures. While Bella led us into the world of vampires and werewolves in Twilight, here Ethan acts as our conduit to the realm of witchcraft. The parallels between the two aren’t perfect, but they’re closer than I’d like. When I first experienced Twilight, I wasn’t bowled over by it, but at least I thought it offered a creative take on the genre. Years later – and many imitators along the way – the “supernatural teens” concept lacks originality, and that hampers Creatures to a substantial degree. I doubt you can find a fresh thought or character anywhere in this film. Take our lead, for example. Creatures uses cheap shorthand to make him a generic “smart kid in a stifling environment”; couldn’t they find a way to make him intellectually curious via books other than Salinger’s and music other than Dylan’s? Have kids of that sort not changed since 1967? The other characters remain one-dimensional as well, so expect a surfeit of cartoons. The shrill Bible-thumpers are the worst of the lot, as the movie trades in cheesy stereotypes without any inventiveness or nuance. None of the other roles provide interesting depictions, either, but the portrait of the religious types becomes the most obnoxious. Even without those elements, Creatures would fall flat due to its blandness. There’s just nothing fresh or interesting to keep us involved, and the actors can’t do much to elevate the material. Actually, Ehrenreich and Englert seem perfectly competent in their clichéd roles, but they don’t give the parts any extra oomph. Nor can the more notable adults add spark. Irons, Viola Davis and Emma Thompson possess ample talent, but they just seem to want to cash checks here; they don’t contribute much to elevate their roles. I can’t claim that Creatures ever becomes a genuinely bad movie, as it lacks the depth of conviction to enter the realm of the awful. 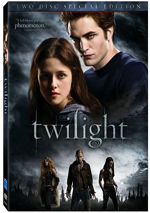 It’s simply an opportunistic riff on the Twilight world without any creativity to make it enjoyable. 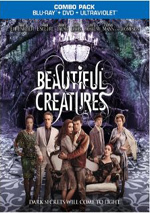 Beautiful Creatures appears in an aspect ratio of approximately 2.40:1 on this Blu-Ray Disc. This was a decent but erratic image. The main concerns came from low-light shots, as those tended to look rather dense. Given the fact that a lot of nighttime elements appeared here, that became a distraction; it was simply tough to see the action in many of those scenes. While I suspect this was an outgrowth of the original photography, it still created issues. Otherwise, the movie looked fine. Sharpness occasionally looked a little soft – mainly in those dimly-lit segments – but overall definition seemed positive. No signs of jagged edges or moiré effects occurred, and I saw no signs of edge haloes. In terms of colors, hello orange and teal! Those tones didn’t dominate in an oppressive manner, but they led the palette and left the movie with a limited range of hues. Within those parameters, the colors looked good, though. No print flaws appeared in this clean film. Were it not for the muddy shadows, this would’ve been a fine presentation; as it stood, I thought it became a “B-“. I felt more consistently pleased with the film’s DTS-HD MA 5.1 soundtrack, though it didn’t become anything stunning. Much of the mix went with supernatural ambience, so one shouldn’t anticipate a whole lot of fireworks. Nonetheless, some of the movie’s action pieces added good kapow to the proceedings, and these increased as the story progressed; the climax became the most involving part of the flick, with magical wackiness to fill the speakers. Audio quality worked fine. Music sounded dynamic and full, and effects showed good clarity and accuracy. We found warm, bold low-end, and speech seemed distinctive and concise. This was a satisfying soundtrack. When we move to the set’s extras, we find six featurettes. These include Book to Screen (3:58), The Casters (3:22), Between Two Worlds (4:17), Forbidden Romance (3:12), Alternate Worlds (5:17) and Designing the Costumes (3:51). Across these, we hear from authors Kami Garcia and Margaret Stohl, director/screenwriter Richard LaGravenese, costume designer Jeffrey Kurland, VFX supervisor Joe Harkins, VFX producer Tony Meagher, concept designer Ryan Yoshimoto, production designer Richard Sherman, concept artist Chuck Boston, and actors Alden Ehrenreich, Emma Thompson, Alice Englert, Emmy Rossum, Viola Davis, Zoey Deutch, and Jeremy Irons. We cover story/characters, cast and performances, various effects, and costumes. The first four featurettes offer no substance at all; they just attempt to promote the movie, so you won’t miss anything if you skip them. “Worlds” offers a passable look at effects, though, and “Costumes” touches on its topic acceptably well. Those last two merit a look; though they’re still superficial, they’re the only useful featurettes. Four Deleted Scenes fill a total of eight minutes, 10 seconds. We find “Ridley Entices Link” (1:09), “Ethan Calls on Emily” (2:05), “Caster Party” (3:10) and “Movie Theater” (1:46). Like many deleted scenes, these tend to focus on supporting characters; in particular, Ridley gets expanded here. Other than a nice shot of Emmy Rossum in her undies, none of these adds anything special. The disc opens with an ad for The Great Gatsby. We also find three Creatures trailers, a TV spot and a book trailer for Margaret Stohl’s Icons. A second disc offers a DVD copy of Creatures. It includes previews and deleted scenes but none of the Blu-ray’s other extras. If you expect Beautiful Creatures to be much more than “Twilight with witches”, expect disappointment. While not a carbon copy, Creatures lacks originality and provides a pretty slow, dull supernatural tale. The Blu-ray comes with pretty good audio but visuals seem somewhat flat and it lacks an interesting roster of supplements. Maybe fans of the source novel will enjoy this adaptation, but it does nothing for me.